Liquid cooling a PC is far more common than it used to be thanks to a barrage of self-contained, plug-and-play kits. The one common theme you’ll find, however, is that nearly all liquid-cooled PCs are of the desktop variety which makes products like Acer’s new Switch Alpha 12 a rarity. Acer didn’t provide a ton of details regarding the cooling system although PC World says it takes up “little space” inside the machine, suggesting it’s probably as underwhelming as the tiny heatpipe cooler in Samsung’s Galaxy S7. Nevertheless, the Switch Alpha 12 is the first fanless hybrid 2-in-1 to be powered by Intel’s sixth generation Core I processor rather than the slower Core M chip found in other hybrids and Apple’s new MacBook. As the name suggests, the device features a 12-inch IPS touch display which operates at a resolution of 2,160 x 1,440. It can be outfitted with up to 8GB of RAM and 512GB of local flash storage. The Switch Alpha 12 includes a detachable, backlit keyboard and a kickstand, putting it firmly in line to compete with Microsoft’s Surface Pro 4. It doesn’t come with a stylus, however, which is something you do get with the Surface Pro 4. 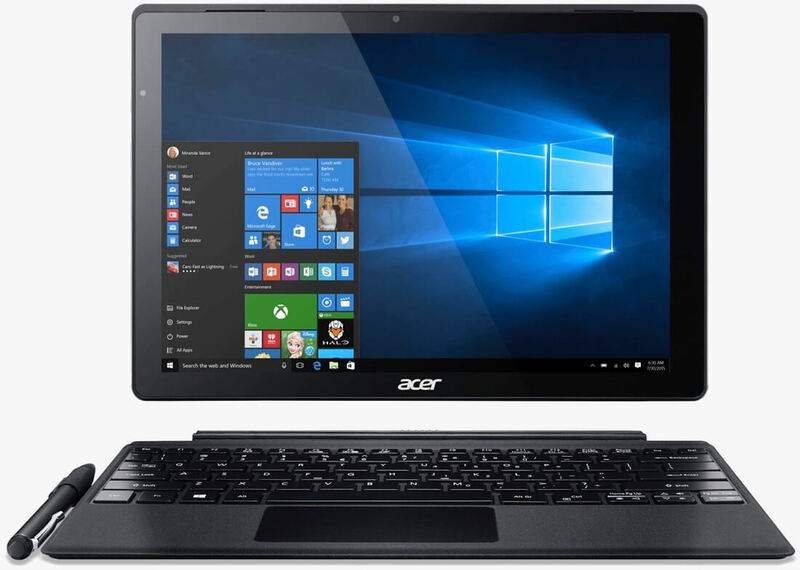 Acer says the Switch Alpha 12 weighs roughly two pounds without the keyboard dock. With it, the setup measures 0.62 inches thick and tips the scales at 2.76 pounds. Pricing will start at $599 when it goes on sale in June (that’s with a Core i3U chip, mind you). No word yet on how much a top-end model with 8GB of RAM, a 512GB SSD and a Core i7 will run you. For reference, the Surface Pro 4 starts at $899.